As early as the second half of 2018, people in the U.S. will be among the first to experience commercial 5G services, thanks to the recent agreement between Samsung and Verizon. The agreement, which outlines Samsung’s supply of 5G technology-based Fixed Wireless Access (FWA) network solutions to the largest mobile network operator in the U.S., has enabled the initiation of 5G services to begin two years earlier than the industry had originally forecasted. 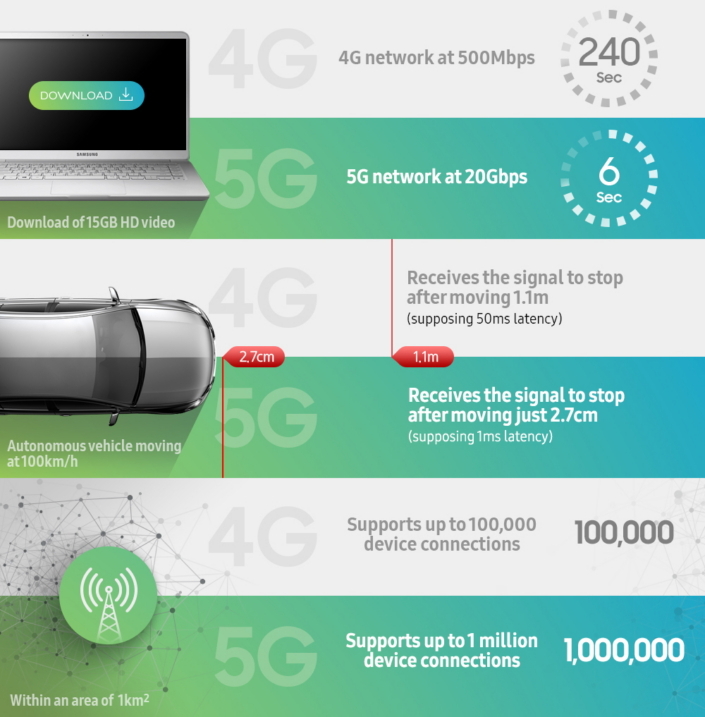 5G FWA stands out as a key technology that allows for the supply of connectivity services (in Gigabit speeds) through radio spectrum, without requiring the deployment of copper and optical fiber networks. Samsung and Verizon will introduce the service during the second half of this year in Sacramento. The companies expect to increase the number of households that use the FWA service to 30 million in the coming years. However, the U.S. is not the only country looking to charge into the 5G era. Samsung has been closely collaborating with Korean operators, and recently, the company demonstrated the potential of 5G through various trial services. In nearby Japan, a number of major mobile operators will invest a combined 5 trillion yen (USD 44.86 billion) to successfully provide nationwide 5G services by 2023. The country has further plans to commence 5G services in selected areas in 2020, when a large-scale sporting event will take place in Tokyo. Meanwhile, telecommunications service providers, device manufacturers and government organizations across the world are conducting ongoing research to examine the scenarios for 5G networks, as the emergence of new generation telecommunications technology will provide unprecedented business opportunities in a variety of areas such as autonomous cars, robots and virtual reality (VR). Judging by the massive benefits that 5G is expected to bring, it is not surprising that many establishments aim to have 5G commercialized as early as possible. So How Exactly Does 5G Work? In the near future, 5G will completely change how people use and communicate with technology. It will even change the manner in which different technologies communicate with each other. All this will take place faster and more reliably than ever before. As a result, downloads will take place at lightning speeds, autonomous vehicles will be safer thanks to faster reaction times, and industries will be transformed with new ways to connect machinery and stock. 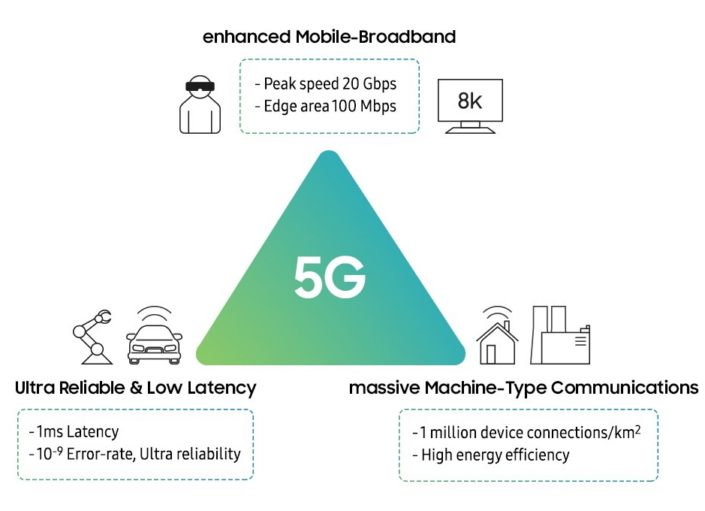 The secret to 5G’s super-fast speeds, incredibly low latency and unsurpassed connectivity lies in its three key technologies: eMBB (enhanced Mobile Broadband), URLLC (Ultra Reliable & Low Latency Communications) and mMTC (massive Machine-Type Communications). eMBB (enhanced Mobile Broadband): This is the technology that will enable users to download a 15GB full-length high-definition movie in 6 seconds. That is much faster than the 4 minutes it currently takes to download the same movie on a 4G connection. With eMBB, large amounts of data may be transmitted at much higher speeds. 5G networks can provide peak data transmission speeds of up to 20Gbps (2.5GB of data transmitted per second). URLLC (Ultra Reliable & Low Latency Communications): The aim with autonomous vehicles is to always make the driving experience as safe as possible. Thanks to URLLC, autonomous vehicle collisions will be less likely to occur in the 5G era, as there will only be a one-millisecond (ms) signal delay, and thus the car will only move a few centimeters before stopping when danger is detected. This is a huge leap from 4G, where the distance that a car travels before coming to a stop once danger is detected is a meter. URLLC promises a stable network and the lowest possible latency to initiate connectivity. (The lower the latency – measured in milliseconds – the better the network performance.) It will enable one-millisecond latency between a user device and a network, compared to tens of milliseconds today. This is also especially useful for services that require real-time correspondence of networks, such as the remote control of robots, and real-time interactive games. mMTC (massive Machine-Type Communications): This technology sets the foundation for an IoT (Internet of Things)-powered future where the majority of our devices will be connected. 5G will support mMTC, allowing machines (up to one million devices within an area of one square kilometer) to communicate with one another with only minimal human involvement. mMTC will also support various industrial applications. For example, the modification of manufacturing processes based on real-time demands from consumers will be made possible via 5G connection modules incorporated into factory equipment. Furthermore, inventory organization will be improved while product defects will be reduced, thanks to the enhanced deep learning capabilities of robots connected via 5G. 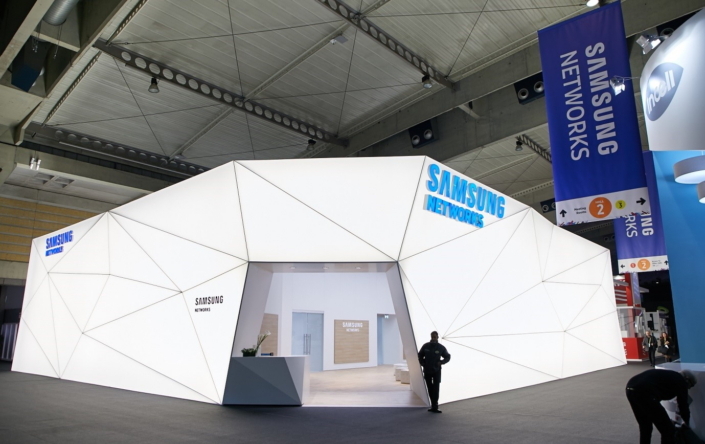 At the Samsung Networks booth at MWC 2018, Samsung is showcasing a wide array of 5G technologies, including the world’s first end-to-end 5G FWA (fixed wireless access) commercial solutions, and offering guests a glimpse at how user-centric 5G networks will soon transform our homes, cars, cities and more. For example, the booth’s Transportation Solutions zone spotlights Samsung’s collaboration with Harman to develop TCU (Telematics Control Units) and RSU (Road Side Units) for autonomous cars. These provide lightning-fast data speeds that make it possible for passengers to enjoy ultra-high definition (UHD) videos, as well as instant access to a wealth of traffic, weather and other information. They also help minimize collisions by enabling cars to respond more quickly when detecting danger. 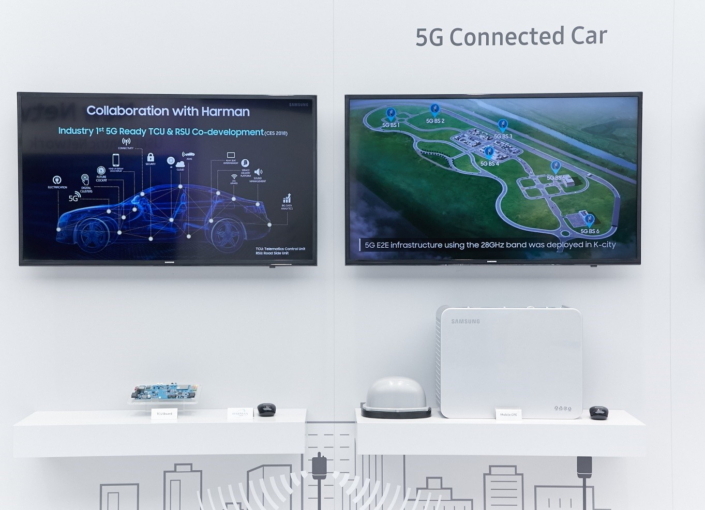 The exhibit also demonstrates how the company’s solutions powered the first demonstration of 5G connections on a high-speed train. The solutions, which achieved a peak speed of 1.7Gbps on a train traveling at over 100 kilometers per hour, supported the seamless streaming of 8K video and the uploading of 4K video, and may soon allow trains to benefit from superior passenger infotainment and increased security and analytics. 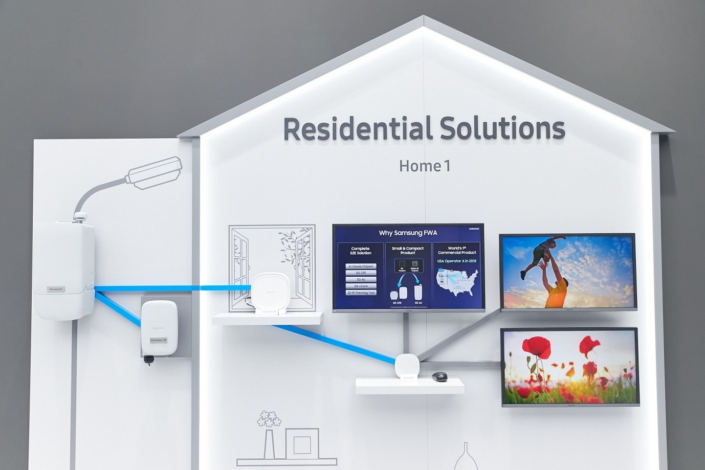 The Residential Solutions zone illustrates how Samsung’s 5G products, once FWA is commercialized, will allow members of a residence to each stream their own 4K content simultaneously, without interruptions. Likewise, gamers will be able to play on a 5G cloud network with minimal hardware and latency as low as a one millisecond. This means that games which typically require a console and lots of storage space may be played comfortably via the cloud, and controller input is instantaneous. 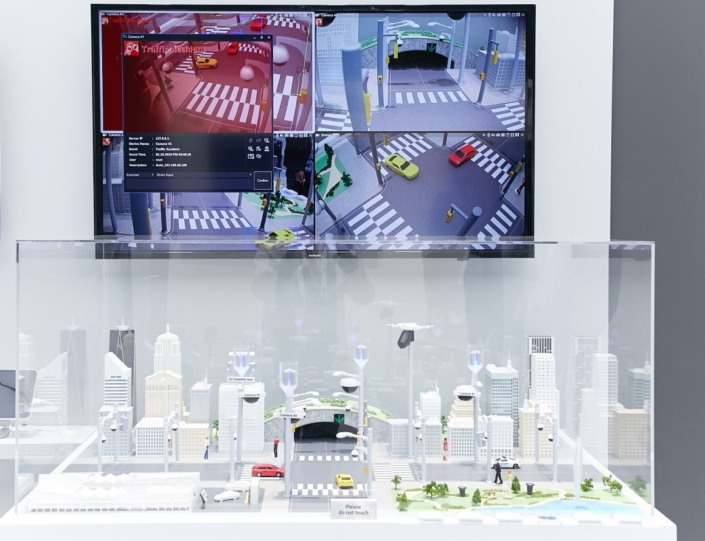 The Industrial Solutions zone features a model of a city connected by Samsung’s 5G Connectivity Node. This slim, compact device is designed to be easily installed on streetlamps and is capable of providing gigabit connectivity to link a wide range of smart city technologies, including digital signage, CCTV cameras, vehicles and IoT sensors, to 5G networks. 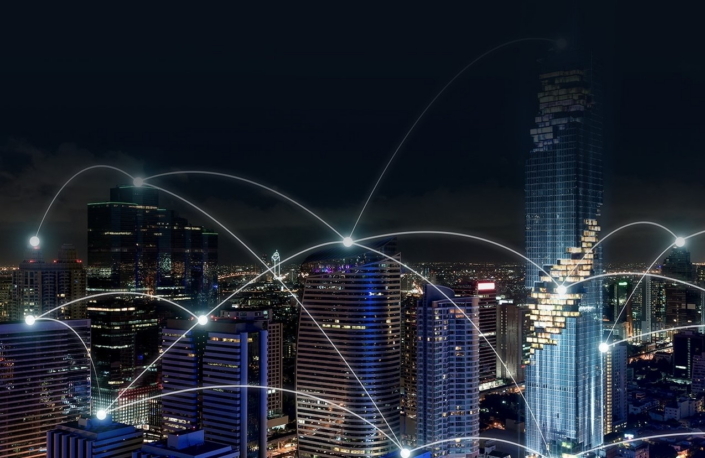 The model demonstrates how cities may utilize 5G networks to instantly identify traffic accidents and violations and alert the proper authorities.